The International Public Health Journal is a peer-reviewed Journal published by Nova Science Publishers, Inc. (New York) aimed at the scientific community interested in the broad area of public health. This Journal provides an international multidisciplinary forum with a holistic approach to public health issues, health and medicine, health and social policy, service aspects, developmental aspects, epidemiology, rehabilitation, family and social issues, quality of life, and all other aspects of public health over the whole age spectrum. 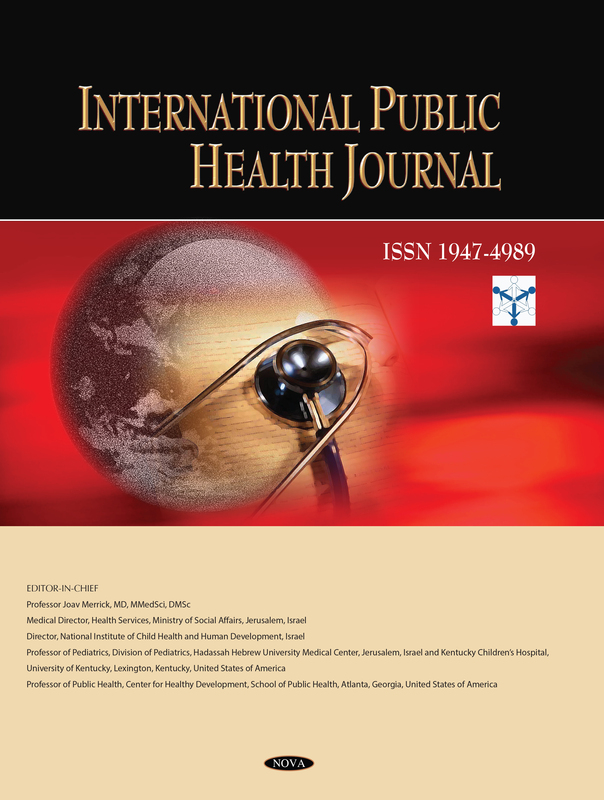 The International Public Health Journal covers all aspects of public health and human development in the form of review articles, original articles, case reports, short communications, letters to the editor, and book reviews. Manuscripts will be reviewed from disciplines all over the world. The International Editorial Board is dedicated to producing a high quality scientific Journal of interest to researchers and practitioners from many disciplines. International Public Health Journal is a peer-reviewed journal that publishes four issues per year. The journal is owned and operated by Nova Science Publishers and funded entirely by subscription revenue and author-optional publication services. Manuscript submissions, books for review, and correspondence should be submitted by email to the Editor-in-Chief, Professor Joav Merrick.